Oldham Comic Con 2 - 12th May 2018 & it's FREE!! Re: Oldham Comic Con 2 - 12th May 2018 & it's FREE!! Yup- it is indeed me. I've never hosted a panel before, so hopefully I'll not make a complete hash of it in front of my heroes. Phew, thanks Doc - tickets still available and mine is secured! See you on Saturday! 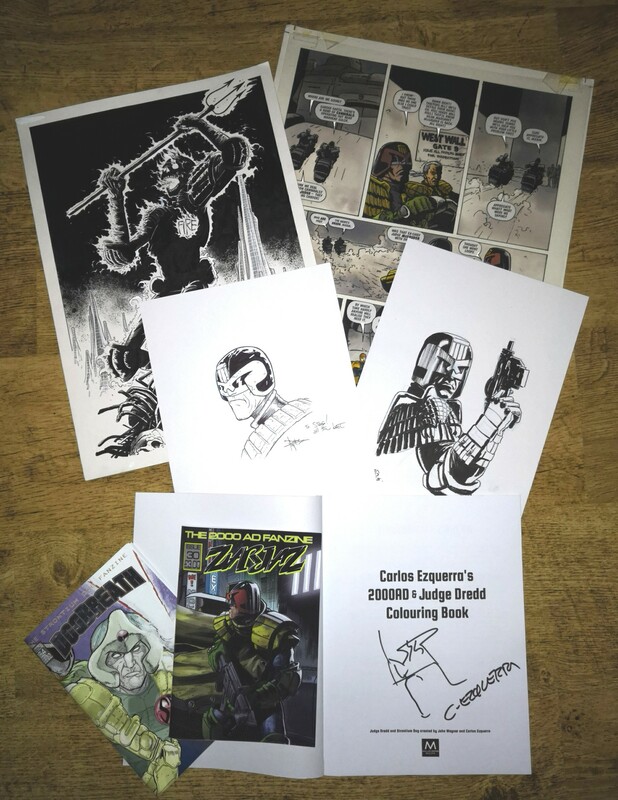 For the record- we had Patrick Goddard, Ian Richardson, Staz Johnson, David Roach, Dave Taylor, John Wagner, Carlos Ezquerra, Peter Doherty and Dan Cornwell. I thought the audience questions were good as well. No nuggets of news, as such- apart from the number of strips that are being worked on that the artists cannot talk about- which was quite a few. It was a really good day- As a free event there was tremendous footfall and even though sales were nowhere near what I would expect at a 'big' gig I still sol more than I thought I might. Fingers crossed there will be another next year. Thought it was a great con and you did an awesome job hosting the panel Dave. First of many no doubt. Had a great day, a very impressive event for a freebie. 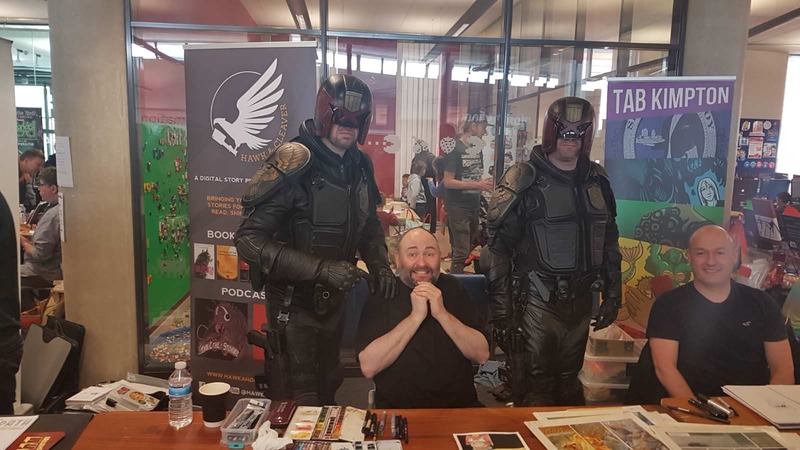 Great to meet up with the guys, and heartening to see lots of families popping in for an hour with young kids in their superhero outfits, as well as several judges, a remote controlled Dalek and plenty of other cosplayers - my favourites were the guy who'd painted his baby green and dressed as Old Man Logan with baby-Hulk, and a rather voluptuous Black Widow. Had a good chat with Staz Johnson and David Roach who had some lovely Anderson pages for sale including old Engram pages and his recent cover (which I was surprised to learn was his first). Got a few things signed by Carlos and had a brief chat with John Wagner. I even blagged a free feed at the afterparty (I figured sitting behind Bolt's table for 5 minutes while he nipped to the loo qualified me as crew ). Sadly, as it was a one-dayer, most people set off for home fairly early, so no big evening get together. Hope this becomes a regular thing as it's so cool to have an event that's just a tram ride from my house. I've just had a chat with Dennis the organiser. The footfall was 5722 on the day!! No bad for a one dayer up north.